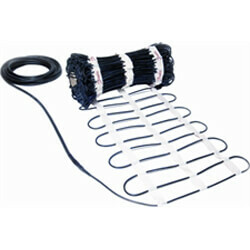 Electric Radiant Heat is a popular space heating solution due to its simple and low cost installation. It keeps the floor warm, heats the home, and can melt snow on walkways. 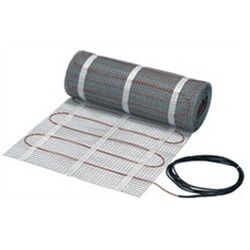 Electric radiant heat is popular in space heating and radiant floor applications. It is most commonly found in bathrooms, bedrooms, and kitchens, but can be used throughout an entire home. 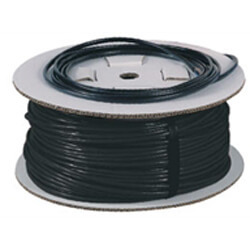 It is also common in snow melting applications. 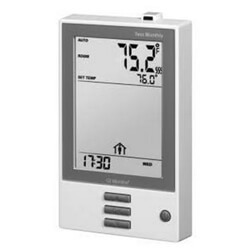 Electric radiant heat is popular due to the ease and cost of installation when compared to other heating methods. 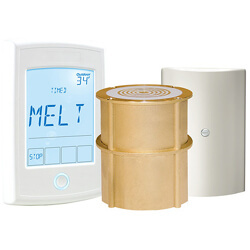 Suntouch, the leader in electric radiant heat, provides alternatives for indoor radiant heat and snow melt applications. Suntouch mats are unique radiant heating mats that warm floors without having to replace existing floor coverings. These mats are ideal in kitchens, bathrooms, or any other room where tile, stone, or laminated floors are present. They are also suitable in indoor and outdoor applications such as smoking or dining areas, patios, balconies, or sidewalk cafes. Suntouch mats are available in preassembled or customized kits. 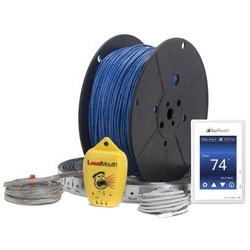 Each Suntouch kit contains an electric radiant heat mat, a programmable thermostat, a loudmouth installation monitor, and an installation DVD guide. 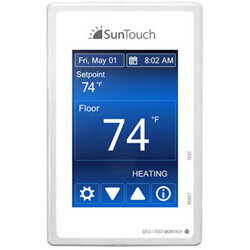 Suntouch kits range in sizes from 10 square feet to 150 square feet. 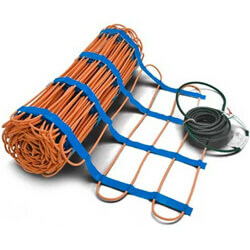 WarmWire is an additional electric radiant heat option that can be installed beneath existing floor coverings. These heating cables are restricted to indoor use in bathrooms, kitchens, entry ways, and similar applications. 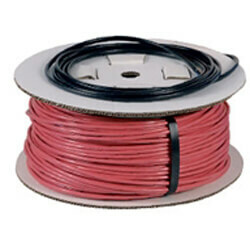 WarmWire is available in 120 and 240 volt models and range in size from 10 to 200 square feet. 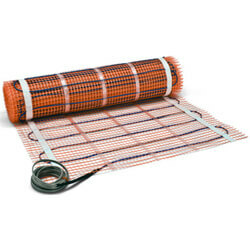 ProMelt mats are outdoor heating mats used in snow melt applications. They can be installed under driveway or sidewalks to provide safe paved surfaces during snowy conditions. These unique mats are automatically activated by a snow sensor and prevent snow and ice from accumulating. 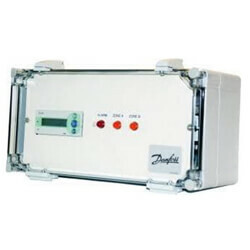 ProMelt mats are available in 120, 208, and 240 volt models, and range in size from 9 to 112 square feet. 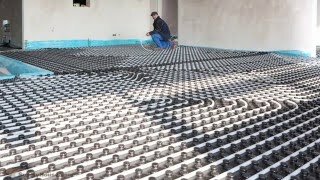 ProMelt mats are simple to install and multiple mats can be combined to fit virtually any application. 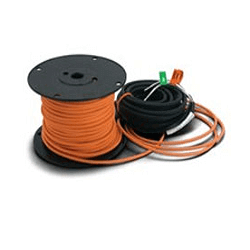 ProMelt snow melting cables provide reliable, durable, maintenance-free, snow removal during the harshest weather. 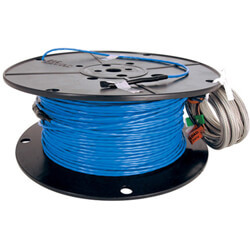 ProMelt cables are priced lower than mats, and may work better for unusual layouts. However, mats are generally easier to install than cables. 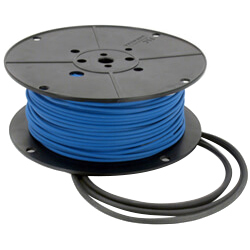 ProMelt cables eliminate manual snow removal and the use of salt or harsh snowmelt chemicals.